Cocora Valley (Valle de Cocora) is a lush, palm-filled national park in Colombia, located 20 minutes away from the town of Salento. 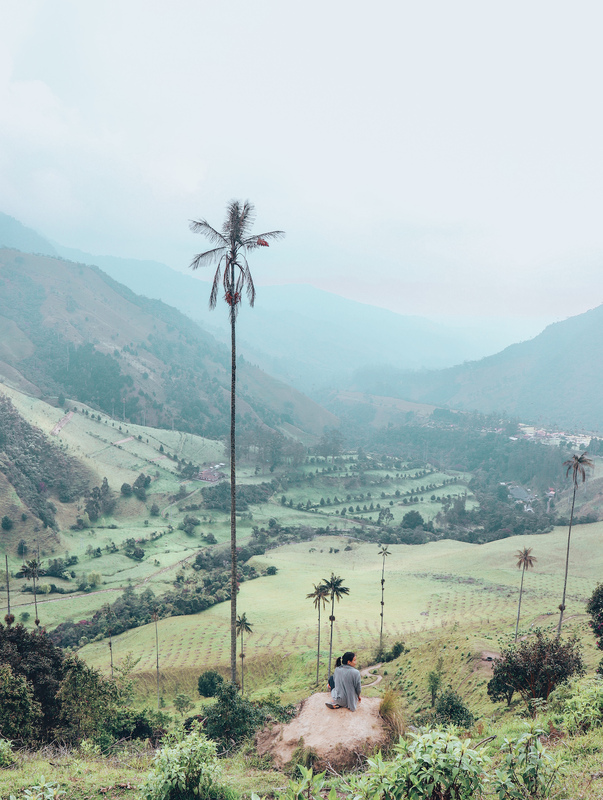 The landscape of this verdant, green valley is dotted with tall and skinny wax palms — Colombia’s national tree — which cluster high on the hills. 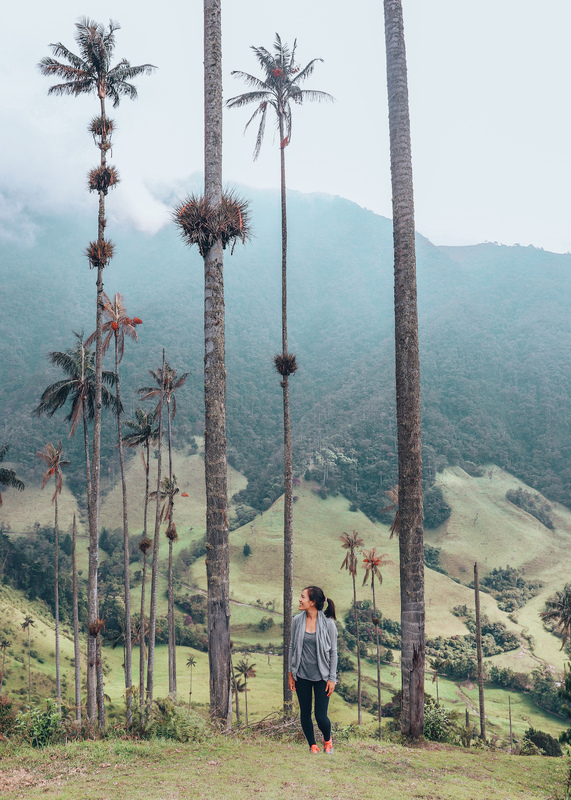 A hike through Cocora Valley is our number one recommendation of things to do in Salento, Colombia. The trail through Cocora Valley is a loop. At the start of the trail, you can go left on a road-like path and head straight towards El Bosque de Palmas (the forest of palms), the valley with the main cluster of wax palms and miradors (lookout points). That’s the option for people who are short on time, don’t enjoy hiking, or want to go straight to the highlight reel. Or, you can take the long way, as we did, and fully enjoy the full 5 to 6 hour trail, hiking through a chilly cloud forest, crossing rickety bridges over streams, visiting a hummingbird sanctuary, stopping for a breather at a finca (farm) at the highest elevation of the hike, and saving the best for last, descending downhill for the best views of the park’s famous wax palms. We recommend taking the ‘long way’ through Cocora Valley and turning your visit into a full-day activity. Departing from Salento’s town square at around 9:30am, we took the town’s main mode of public transportation, Jeep Willys, for a 20-minute ride to the entrance of Cocora Valley National Park. The drop-off point at the park is a little bit chaotic, with tourists finding their way on foot or by horse, to the start of the trail, but once we got started, it was much more peaceful. The first part of the hike took us through scenic and sunny fields, along a gently sloping trail. We saw many wax palms in the distance, but we know we would see many, many, more in about 5 to 6 hours. As we continued upwards, the terrain began to change from farm to forest. The mossy, damp trail reminded me of hikes back home in the forests of Vancouver. On the trail, we crossed on rickety bridges and logs over streams. After two hours of hiking, we arrived at a fork in the road, with a sign pointing to Acaime, the hummingbird sancturary deep in Cocora Valley. It’s about a 45 minute (round-trip) departure from the Cocora ‘loop’ but I would highly recommend visiting, especially because it’s a great spot to stop for lunch. 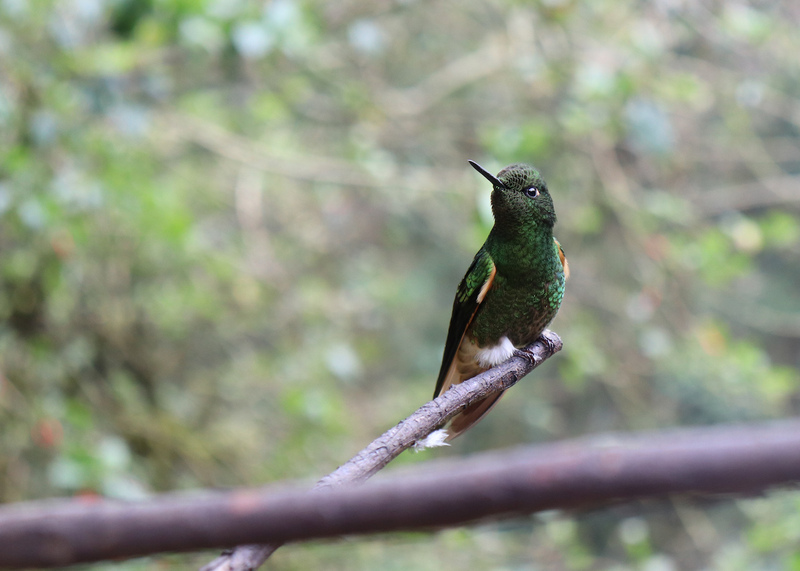 For an admission of C5000 pesos ($2USD) you get a free drink, and can spend your time getting probably as close as you will ever be to hummingbirds. We stayed for about 45 minutes, enjoyed our packed lunch and drink, and spent some time trying to snap the best photo of hummingbirds flittering near their feeding stations. After descending from Acaime Hummingbird Sanctuary and connecting again with the main trail, was the most challenging uphill part of the hike. As you ascend upwards, there are lush views of densely packed green trees, topped with a cloud of mist. Eventually the trees thin out and you’re zig-zagging aggressively on the hill of a farm. At the top, after ascending a total of around 900m in elevation, we made it to the peak of the hike at 2860m in elevation, and stopped for a breather. After this, it was all downhill from mirador to mirador. The trail gets busier again because you are reconnecting with tourists who came the short and easy way straight to the lookout points. But hey, there’s plenty of space to share and get out of each other’s way for photo opps. By the time we made it back to the entrance of the park, it was around 4:30pm. I really enjoyed our day spent at Cocora Valley, this was one of my all-time favourite hikes and I would not hesitate to recommend this beautiful national park to anyone visiting Colombia! Looking for more things to do in Salento, Colombia? Check out our blog post on: The Ultimate List of Things to do in Salento, Colombia. Wait for Dry Conditions — check the weather and time your visit to when it hasn’t been raining. We’ve heard from other travellers that then trail gets really muddy after rain. 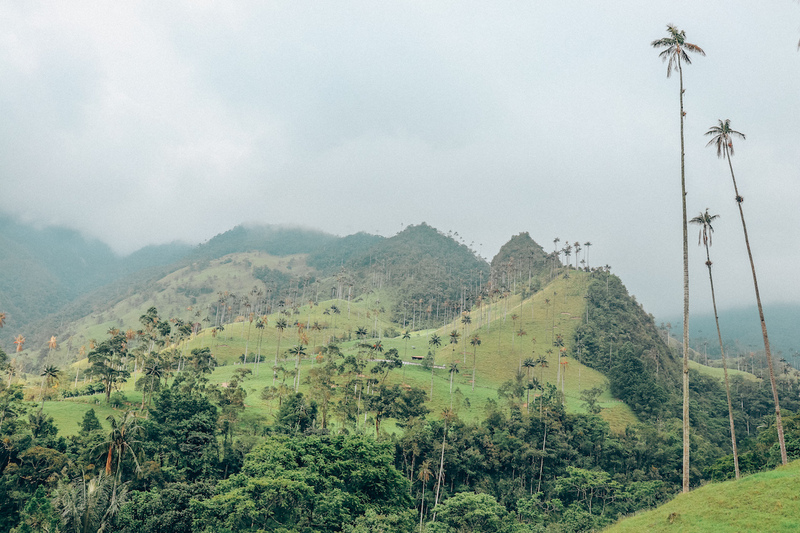 Do the FULL Cocora Valley loop – you’ve made it this far to Salento, Colombia, do the full loop! 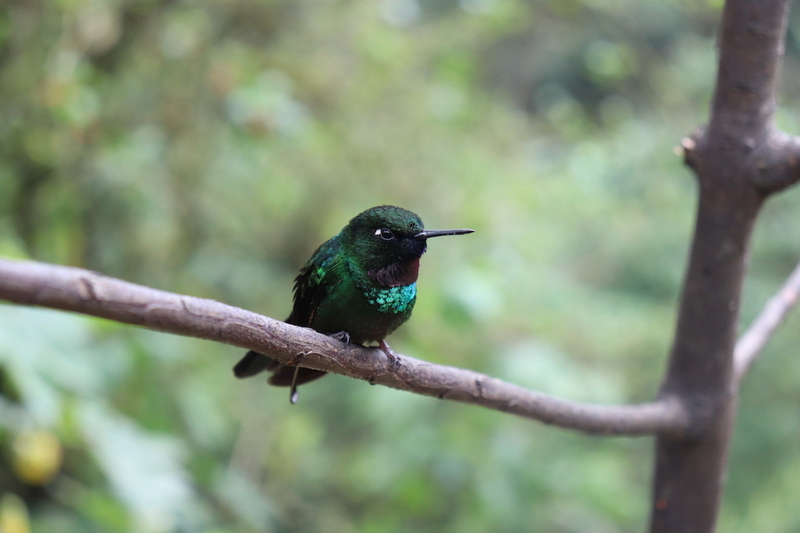 Stop by the Acaime Hummingbird Sanctuary – stop here for lunch and get up close to hummingbirds. 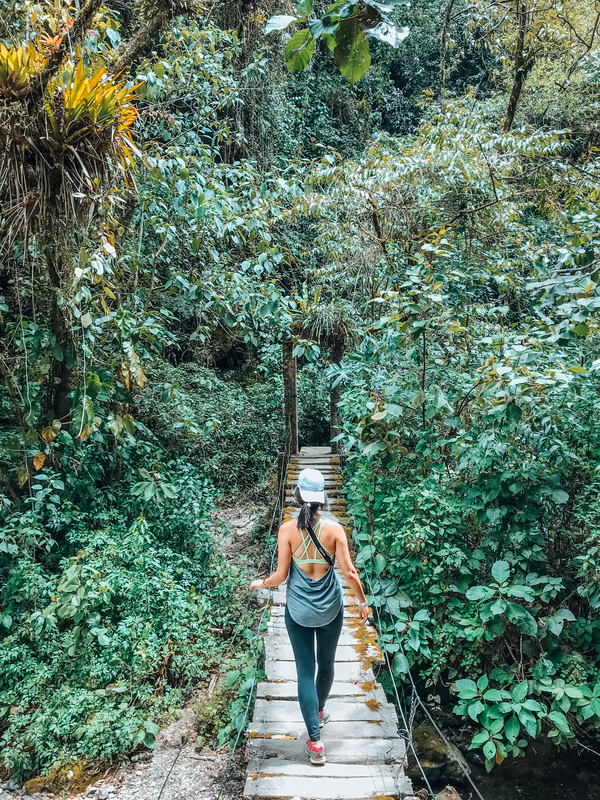 Start Your Hike in the Morning — the last jeep leaves Cocora Valley around 6pm. 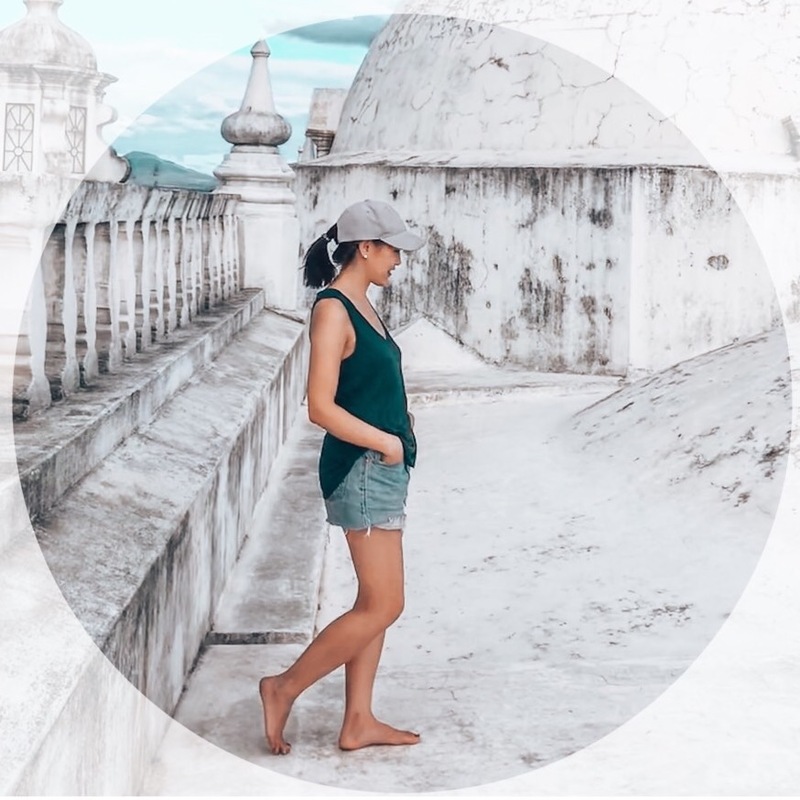 Bring Small Bills — the jeep ride is 4,000pesos each way, the entrance to the trail is 2000pesos, and the hummingbird sanctuary is 5,000pesos. Wear Sunscreen — the first part of the trail is not covered by trees. 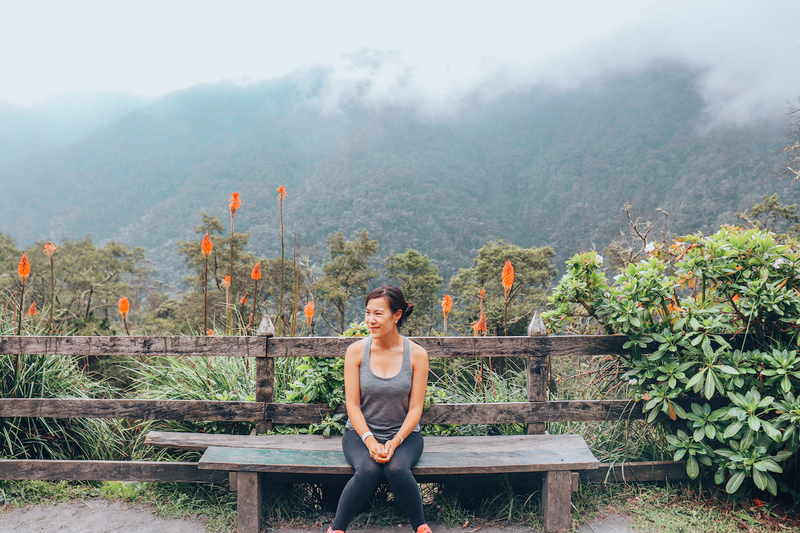 Bring an Extra Layer — the middle part of the hike gets chilly as you ascend into cloud forest. Bring a Packed Lunch — we got a brown-paper bag packed lunch from Brunch Restaurant in Salento town. Bring Snacks and Water — there’s no where to buy food along the trail. Don’t Litter — keep Cocora Valley clean and free of trash, leave only footprints and bring your garbage back with you. Hi Kristy! Thanks for reading — hope you and your husband get to visit this beautiful country soon! We have a ton of blog posts on Colombia, hoping our experiences will help you plan your trip when the time comes :).